That’s a $765 investment. 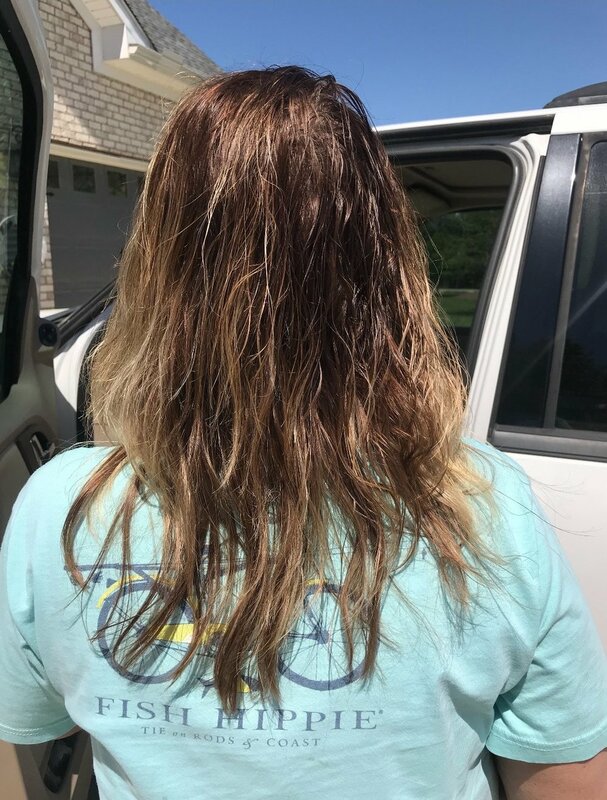 She also left with our newly stocked Brazilian b3 extension repair shampoo and conditioner to maintain these extensions for up to two months longer than the normal six- to-eight-month life. For some women, a partial extension application is all it takes to give hair the density it needs to hold style and have a fuller appearance. This guest was a perfect candidate for soft dimension and length. We are working to bring new and exciting services to our menu this year. As we continue to grow, it helps to learn the needs of our guests, and we are listening to your feedback! Let us make your style dreams come true.